Japan’s Sharp said Thursday it will team with a large Chinese manufacturer to build a factory in Nanjing and mass-produce LCD screens for TVs, computers and tablets. Sharp said it will form a joint venture with China Electronics Corp. (CEC) to manage the project, and aims to begin production in June 2015. The plant will eventually handle 60,000 LCD panels per month, each measuring 2.2 x 2.5 meters, which can then be divided into smaller sizes for consumer products. Although Sharp is struggling with massive losses and going through a major restructuring to rebuild its finances, the company is still one of the largest LCD display makers in the world and possesses cutting-edge technology. 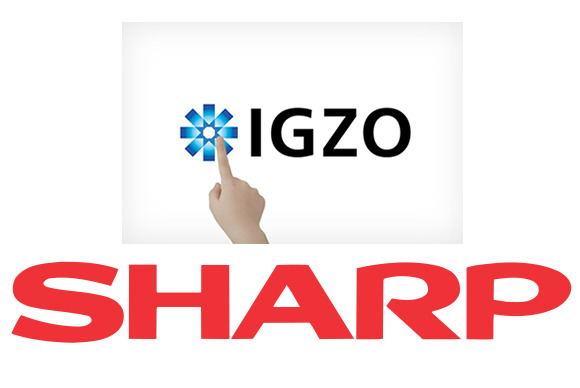 Japan’s Nikkei newspaper reported that as part of the deal, Sharp will transfer its technology for producing IGZO (Indium Gallium Zinc Oxide) screens to the venture and will receive payment in the “tens of billions of yen” in return, part of which it will use to fund the new investment. IGZO allows for higher resolutions and lower power drain than traditional LCD screens, and devices that use the technology are beginning to appear on the market. Sharp has launched smartphones and tablets with IGZO screens, and Samsung Electronics, Asustek Computer and Fujitsu are all releasing laptops that use the technology. Rumors have long circulated that Samsung and Apple are looking to build smartphones using IGZO screens. A second factory that can produce the technology would help allay fears of being dependent on a single supplier. The new venture will be called Nanjing CEC-Panda LCD Technology and will be funded by a 17.5 billion yuan ($2.8 billion) investment, 92 percent from CEC Group and 8 percent from Sharp. It will be officially established in March of next year. Sharp said the Chinese plant will allow production at lower costs than its current factories, and it will retain the right to buy the panels produced at the new facility. Sharp has been aggressively pursuing deals with foreign partners to shore up its finances as it looks to recover from deep losses. Since last year it has signed deals with Samsung, Foxconn and Qualcomm for joint production and research. As a result of a deal announced in August 2009, Sharp and CEC already operate a Chinese joint venture producing smaller LCD panels, to which Sharp transferred some of its older technology. They said at the time they would negotiate a deal to build larger panels in the future. Sharp booked a ¥545 billion loss last fiscal year but forecasts it can rebound to a ¥5 billion profit during the current period. It said Thursday that the finances of the new deal are already factored into its current forecast.